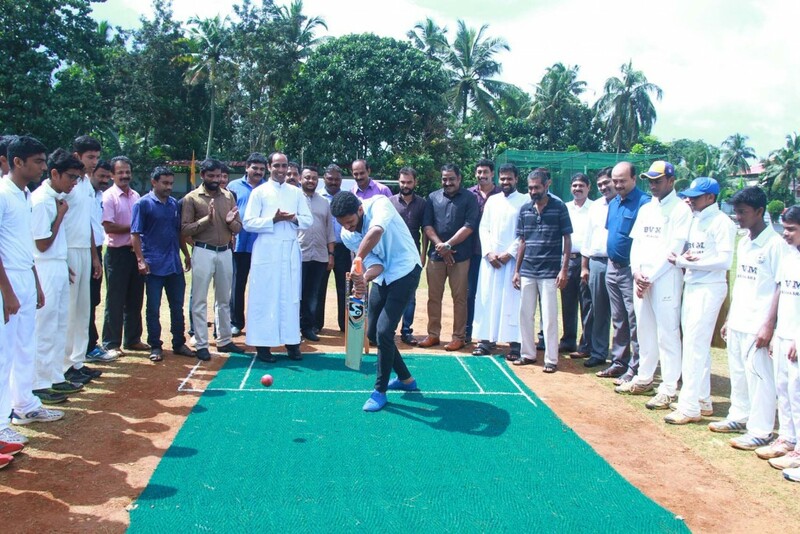 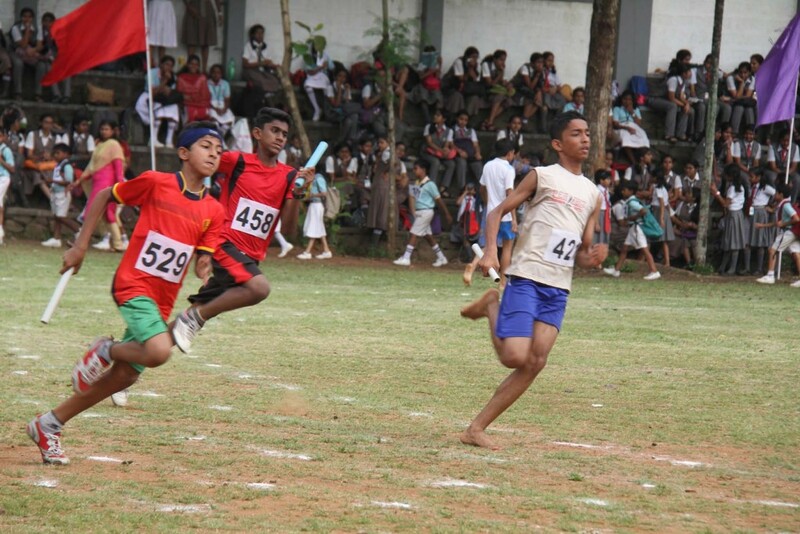 Students who have the flair for sports should be given perfect coaching so that they can be the stars of tomorrow. 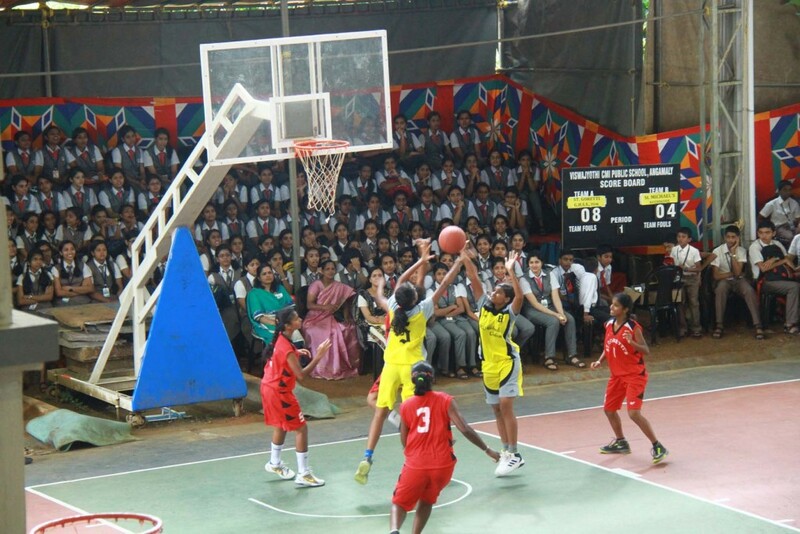 We have full-fledged facilities for the training of Basketball, Volleyball, Football, Cricket, Kho-Kho, Shuttle Badminton, Table Tennis etc. 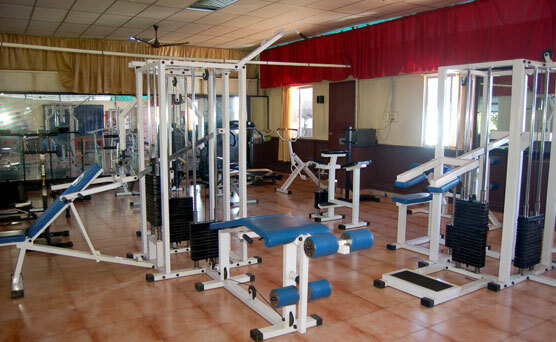 We have spacious grounds for athletic training. 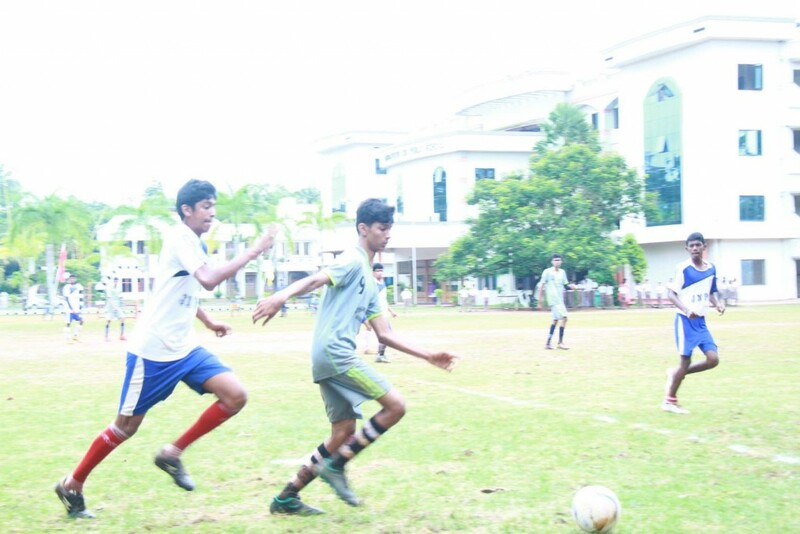 The specialized coaches train the teams (Basketball, cricket, football, kho-kho etc) for in-house and inter school competitions. 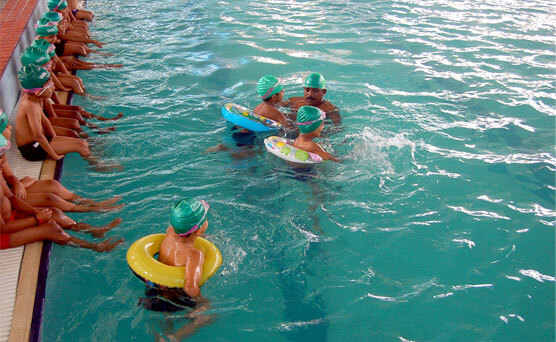 The players are trained after the school hours. 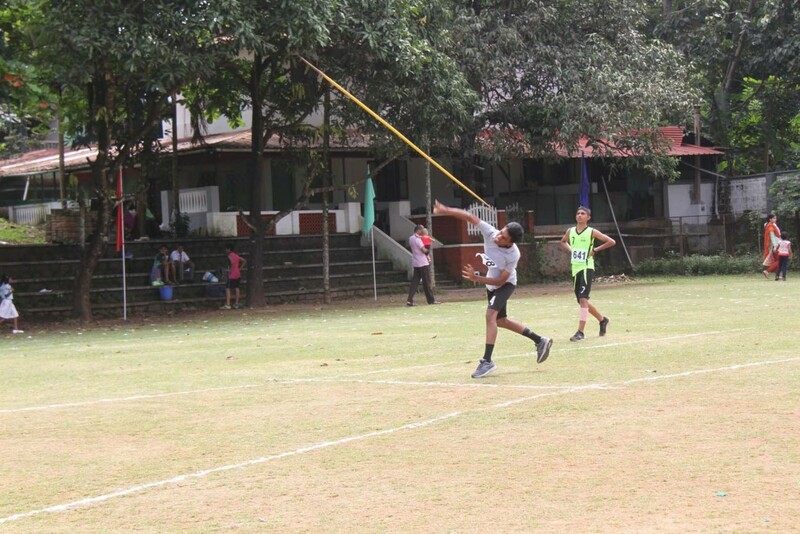 Our students participate in various sports and games. 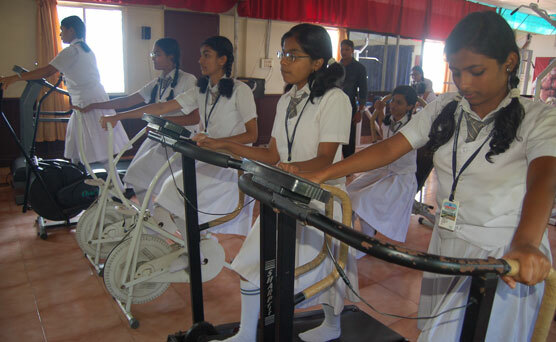 Every Wednesday, mass drill training is given to the students. 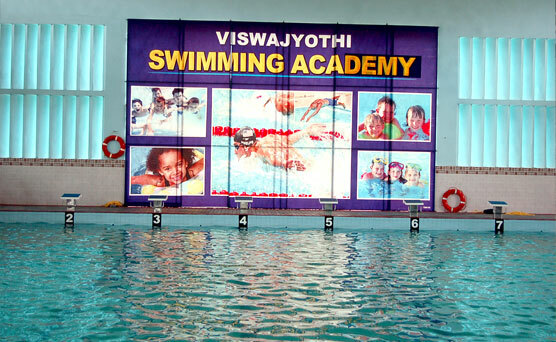 Viswajyothi has a state-of-the-art aquatic complex of international standards. 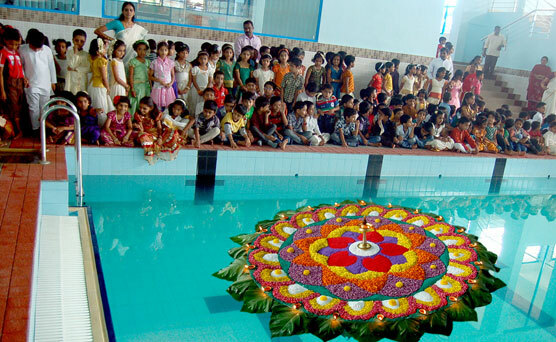 It has a main pool and a colourful Kids’pool. 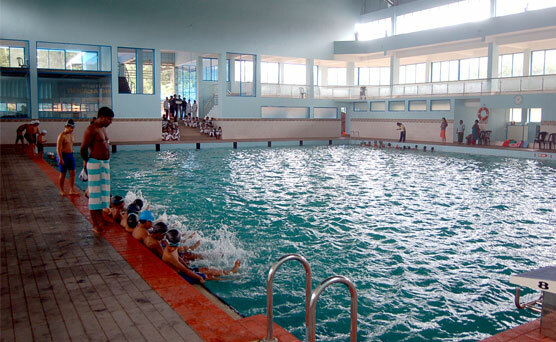 The main pool is 25x20mtrs in size and has eight track facilities where students from Kindergarten to class VII are trained. 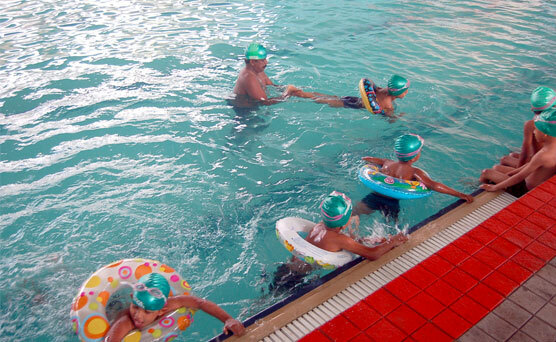 Seventy minutes are allotted for training per week. 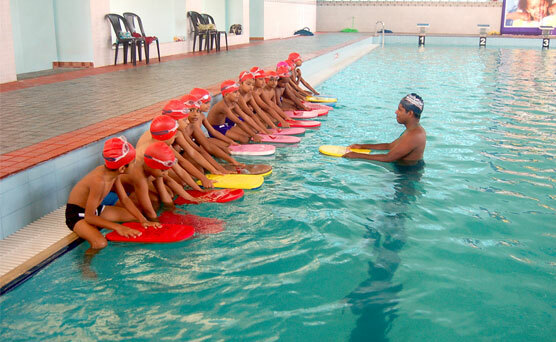 There are lady coaches to train girls and gents to train boys. 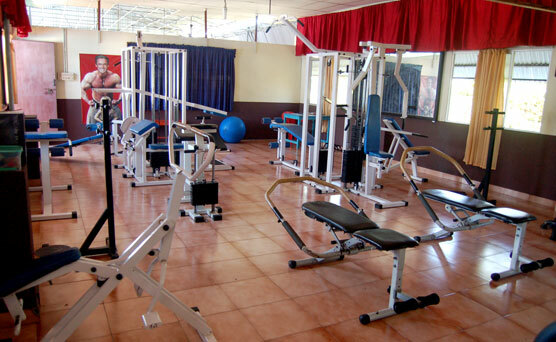 In order to ensure the purity, quality and hygiene, there is an in-house lab attached to the complex. 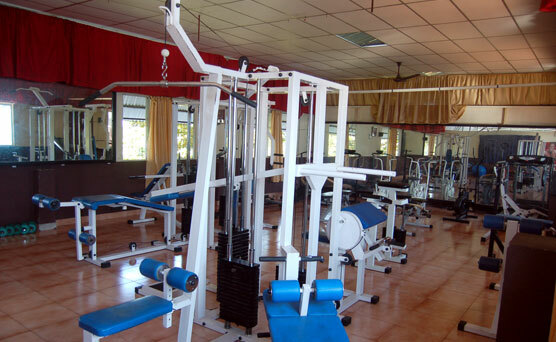 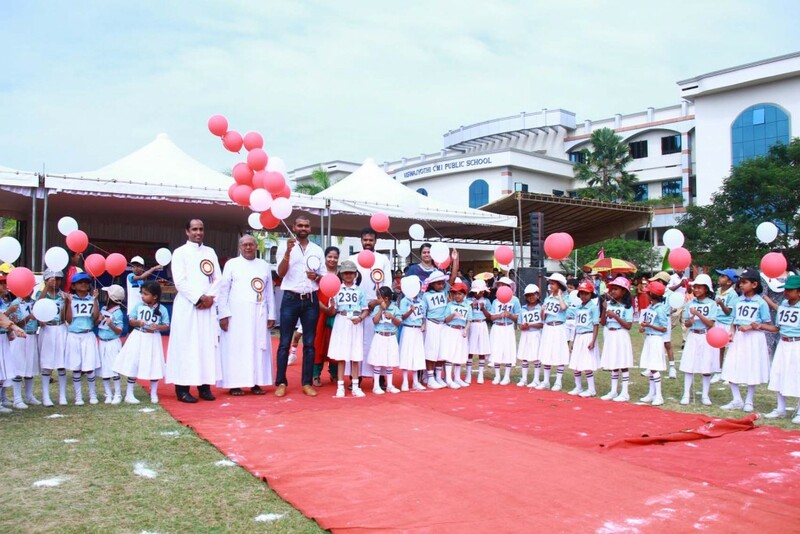 Taking this in view, the school provides two well furnished fitness centers with most modern equipments which enable the students to be active, vigilant and strong. 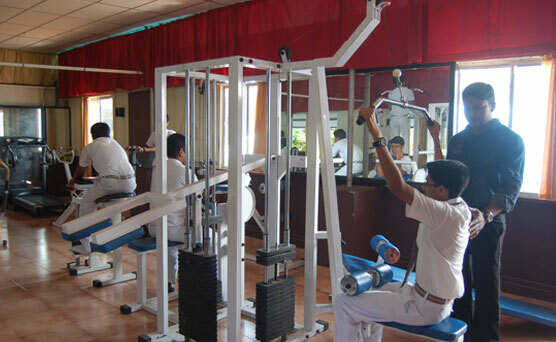 Fitness training periods are allotted to the students from class V to X. 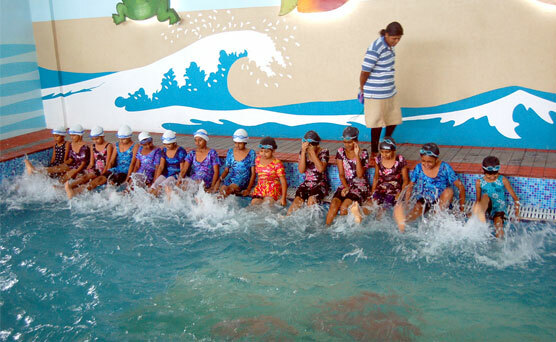 Teachers and parents also avail these facilities. 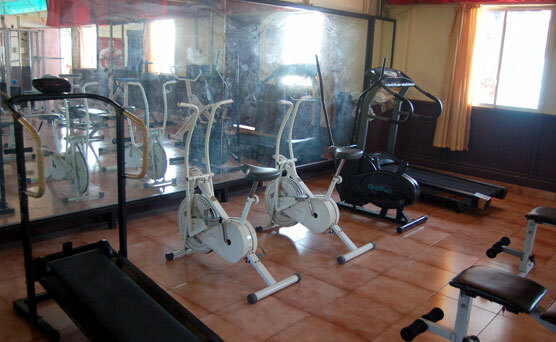 The school provides the facility for training the students in Visual and Performing Arts (Dance, Music, Art). 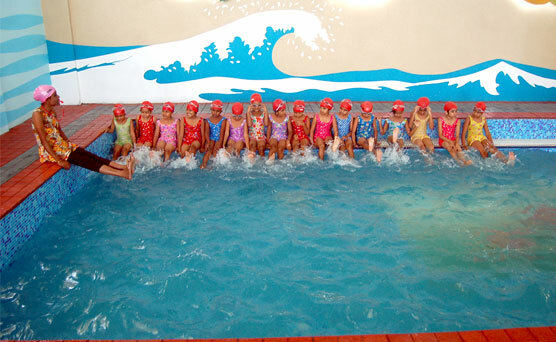 From standard I onwards, two periods are allotted in every week for the same. 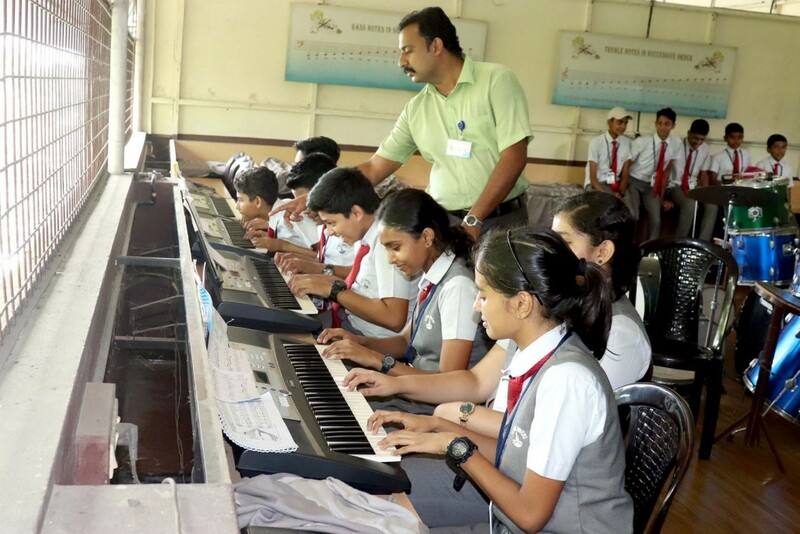 The students begin with the basics and when they reach in class IX, they are capable enough to perform in their opted art form. 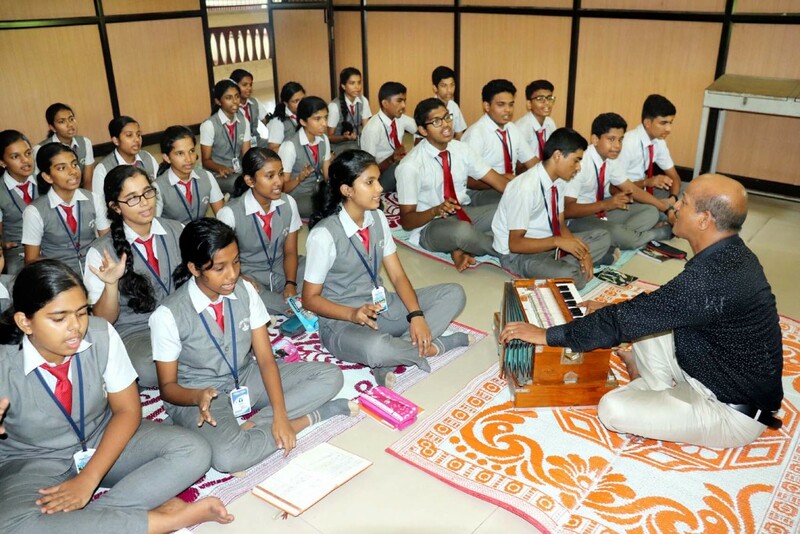 In class IX, the students are given a chance to perform their ‘Arangettam’ (i.e. 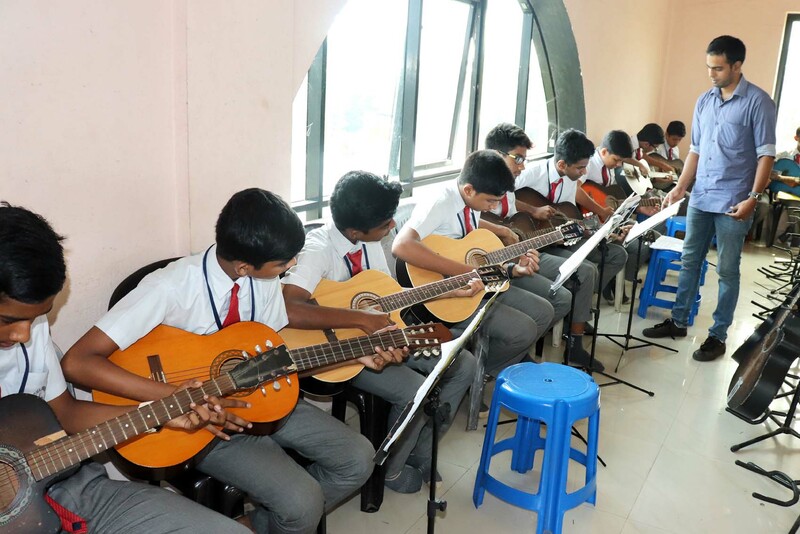 their first group performance in the opted art form). 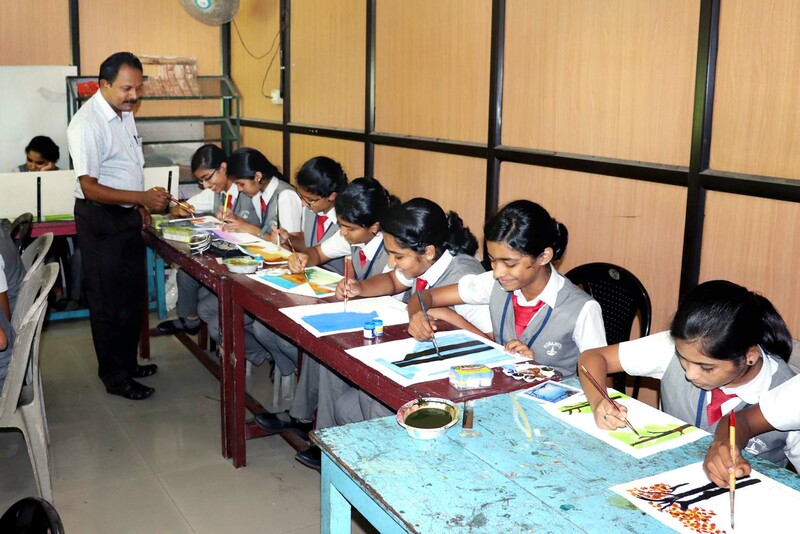 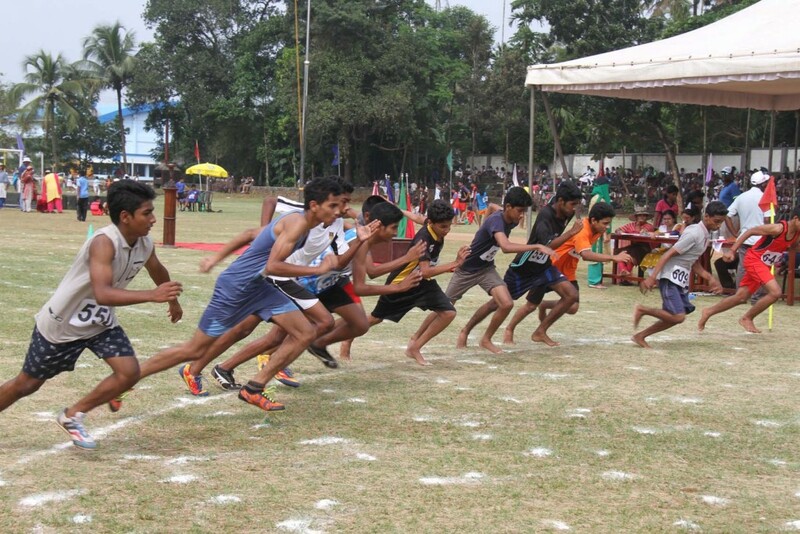 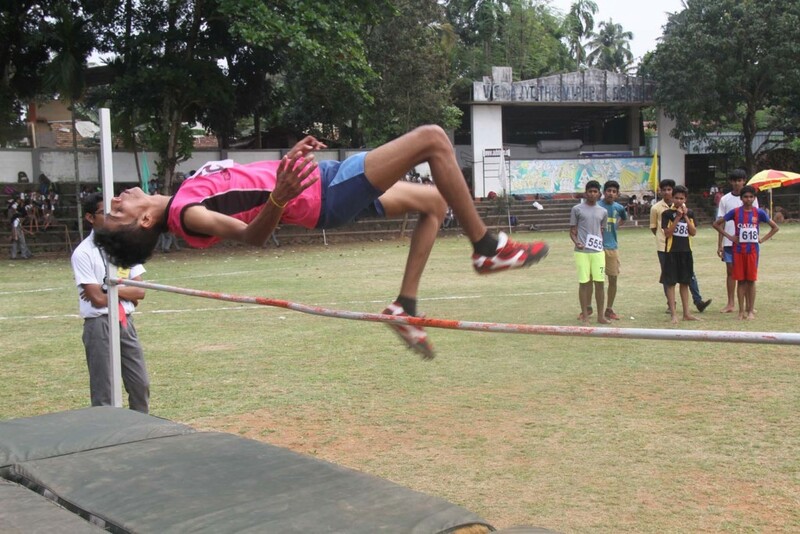 Students also participate in various competitions in and around the campus like class Literary Meetings, Youth Festivals, Onam Celebrations, Christmas Celebrations, Independence Day Celebrations, Annual Day, Principal’s Day/Manager’s Day/Founder’s Day and Interschool Cultural Fests like Sahodaya Kalotsav, State Youth Festival, CMI Schools Kalotsav etc.